The GNMUG meetings are held in the AIM Computer Lab located at 1905 Harney Street in Omaha, Nebraska. 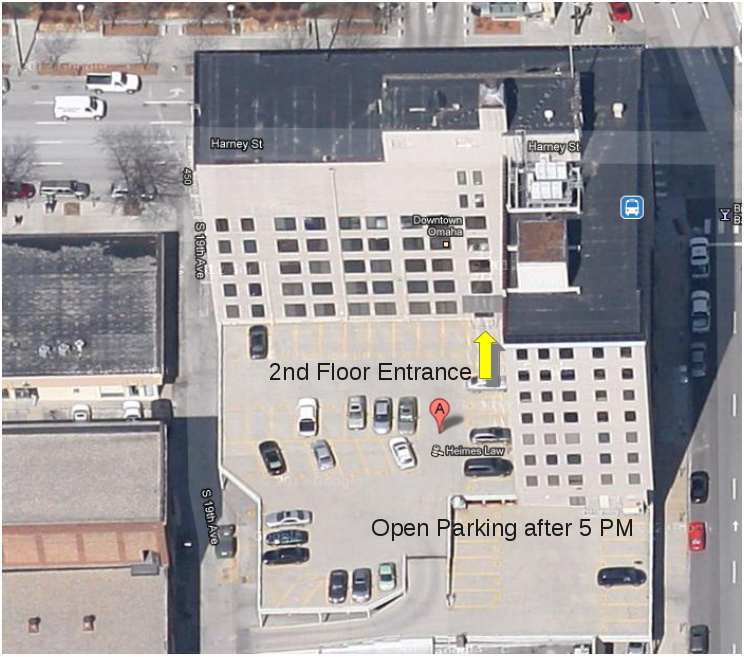 Our building is located at the corner of 19th & Harney in downtown Omaha. Drive down the alley between our building and the Bank of the West. Take the ramp up to the highest tier of the parking structure and park in any available spot. Enter through the door and walk straight ahead to the AIM Computer Lab. The door will be opened approximately 15 minutes before meeting time. If you arrive prior to that time, you will most likely find us in Bishop’s Bar & Grill on the first floor. Feel free to come and join us!